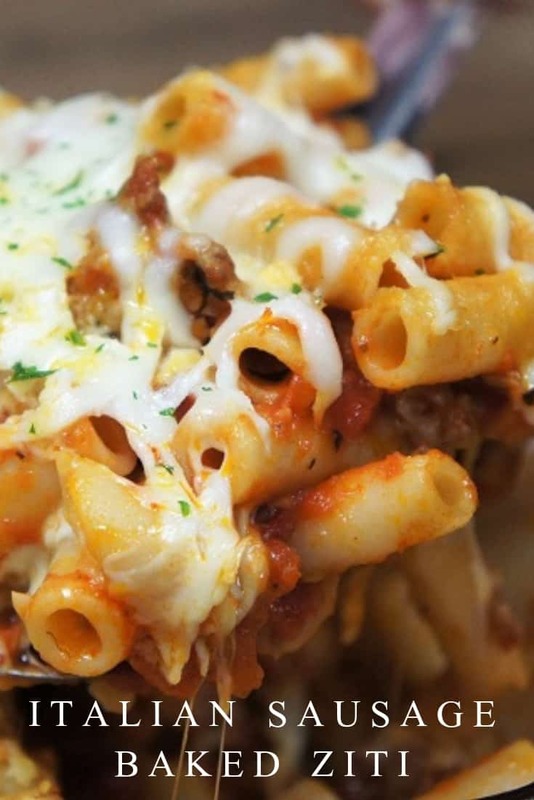 This easy Italian sausage baked ziti is a delicious dish that will feed a crowd. In this recipe we use Italian sausage, it adds a ton of flavor so we can use just a handful of ingredients. We also cheat a little by using jarred pasta sauce and canned tomatoes, but we add onions and a ton of garlic for a homemade taste. Then of course there’s the cheese…a lot of cheese! 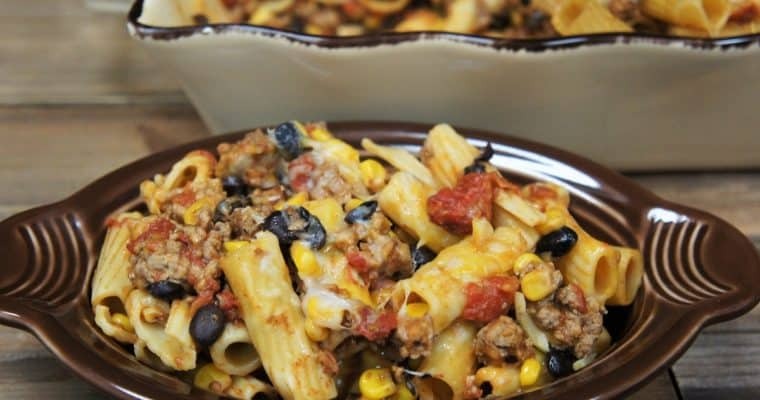 This pasta dish will become a family favorite for sure. 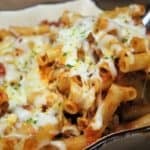 For more great baked pasta recipes try this baked spaghetti or this turkey-roni that’s a fun take on a childhood favorite. Enjoy! Heat the olive oil in a large, deep skillet or pot over medium heat. Add the onions, cook approximately 3 minutes, until they’re translucent, stirring frequently. Add the garlic; cook 1 minute, stirring frequently. Add the sausage to the pot; raise the heat to medium-high. Stir, breaking up the sausage using a wooden spoon or a spatula. Cook approximately 5-6 minutes until the meat is browned, stirring frequently. Add the chopped tomatoes and pasta sauce the skillet, stir well. Bring the sauce to a simmer, lower heat to medium-low and cover. Cook the sauce for 45-50 minutes, stirring occasionally. While the sauce cooks, start the pasta. Cook the Ziti to package directions for al-dente. Drain and set aside. Once you cook your pasta always reserve about 1 cup of the cooking water before draining it. You can use the pasta water to loosen the sauce a little bit if it’s too thick. Just add a little at a time while stirring until it reaches the desired consistency. Combine the ziti and the sauce in the larger of the two pots. Gently stir well. 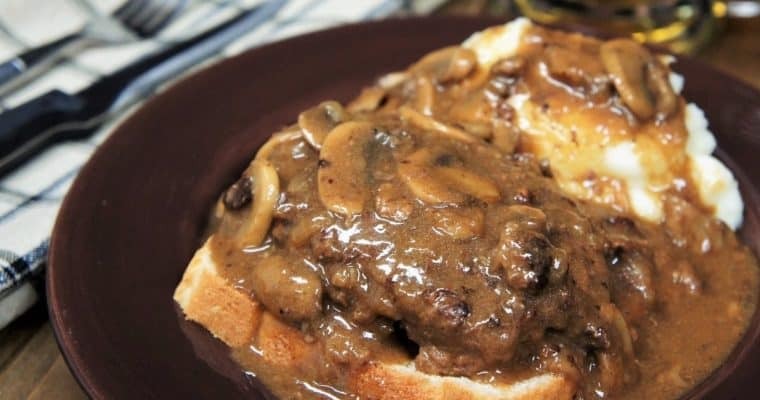 Use a large, oven proof casserole dish or baking pan (at least 9×13). Spoon about half of the pasta into the casserole dish, cover the top with half the mozzarella cheese and sprinkle with half the Parmesan cheese. Add the remaining pasta and top with the remaining mozzarella and Parmesan cheeses. Place the casserole dish on a rimmed baking sheet, just in case it bubbles over. Bake the pasta for 15-20 minutes until the cheese is melted. 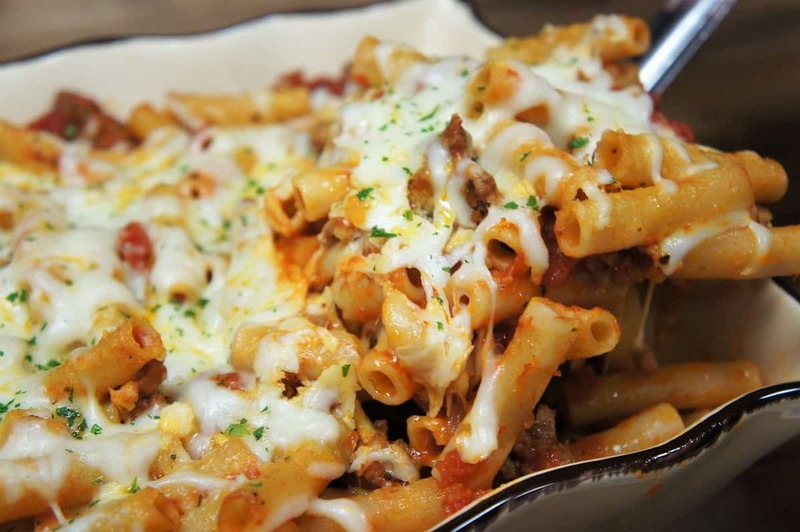 Garnish the Italian sausage baked ziti with a little chopped parsley and serve with extra Parmesan cheese and crushed red pepper, if desired. Enjoy! 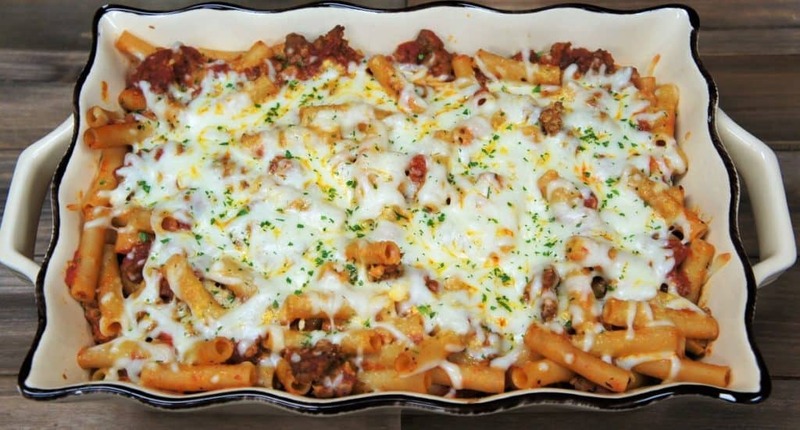 This easy Italian sausage baked ziti is a delicious dish that will feed a crowd. Heat the olive oil in a large, deep skillet or pot over medium heat. Add the onions, cook approximately 3 minutes, until they're translucent, stirring frequently. Add the garlic; cook 1 minute, stirring frequently. Add the sausage to the pot; raise the heat to medium-high. Stir, breaking up the sausage using a wooden spoon or a spatula. Cook approximately 5-6 minutes until the meat is browned, stirring frequently. While the sauce cooks: Preheat oven to 350°F and start the pasta. Cook the Ziti to package directions for al-dente. Drain and keep warm until the sauce is ready. Using a large, oven proof casserole dish or baking pan (at least 9x13), Spoon about half of the pasta into the casserole dish, cover the top with half the mozzarella cheese and sprinkle with half the Parmesan cheese. Add the remaining pasta and top with the remaining mozzarella and Parmesan cheeses. Garnish the Italian sausage baked ziti with a little chopped parsley and serve with extra Parmesan cheese and crushed red pepper, if desired.